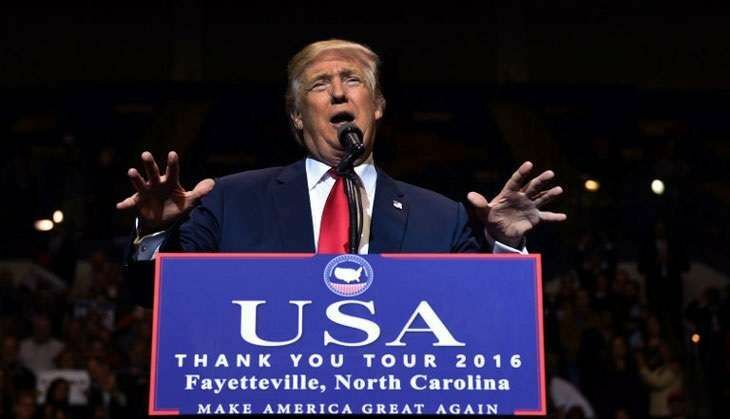 President-elect Donald Trump, on 10 December, said he would not allow Americans to be replaced by foreign workers. He made this statement with respect to cases like that of Disney World and other American companies wherein people hired on H-1B visas, including Indians, displaced US workers. "We will fight to protect every last American life," Trump told thousands of his supporters in Iowa on Thursday as he referred to the cases of Disney world and other US companies. "During the campaign I also spent time with American workers who were laid off and forced to train. The foreign workers brought in to replace them. We won't let this happen anymore," Trump vowed amidst cheers and applause from the audience. "You know the name of one of the companies that's doing it. I'm going to be nice because we're trying to get that company back. Some of these companies, like Carrier, they announced long before I even knew I was going to be running for president," Trump said. "We will put an end to illegal immigration and stop the drugs from pouring into our country, the drugs are pouring into our country, poisoning our youth and plenty of other people," he said. "We will stop the drugs from pouring into our country. We will stop the drugs from poisoning our great and beautiful and loving youth. OK? We'll do it," he said, adding that the Trump administration will stop the violence that is "spilling across our border".